The two actors made a series of films together in the 1960s, with this one being the first. I don't know if they dated but they sure look like they enjoyed working together. This is good film. Not great but good. Lang Jeffries, who's the main star, has one expression throughout the film. His acting sorta drags the whole respectable production. 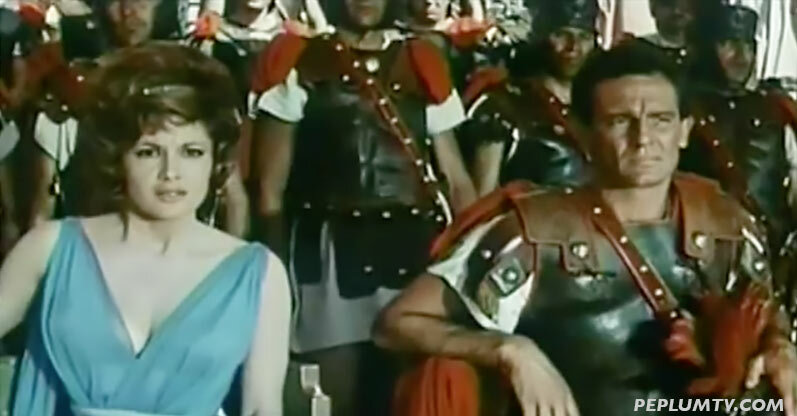 Many scenes from this film were re-used in other productions, including FALL OF ROME. This not a bad film I enjoyed it, and I watched it on my Amazon Prime with an excellent full screen copy. The color and scope is amazing so much so that I added it to my permanent watchlist.